We strive to maintain the highest possible standards while exceeding client’s expectations. American Roofing Systems Corporation is built on a foundation of value to customers, vast experience in its services and high quality in its products. Because of the myriad numbers of systems available in the roofing market, customers can never be sure if the right combination of products is being installed for the particular requirements of each situation. American Roofing begins by evaluating the customer’s needs and budget, and then offers its recommendations based on many years of acquired knowledge and actual practice. There are a great many factors that go into a roofing decision. Most customers do not replace their roof very often so they are unfamiliar with the complexity of their decision. 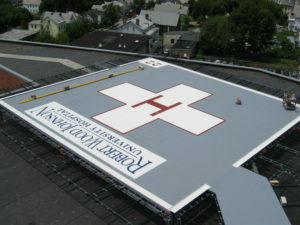 American Roofing Systems guides the specifier through this decision, ensuring that the correct membrane is chosen based on the unique requirements of each building. American Roofing Systems offers every membrane system available in the industry, not just a small number of options, which are “force-fit” to the situation. American Roofing Systems does not “over specify” products to create budgets that strain the finances of the customer with roofing systems that do not add appreciable performance or longevity. American Roofing Systems’ Chief Technical Officer and Co-Owner, Dr. Kenneth Brzozowski, Ph.D., has over 40 years of involvement in the roofing market. Ken has specialized in various areas of product development, manufacturing, installation, system design and problem solving and resolution. Ken is available to all customers of American Roofing Systems and carefully monitors the quality and technical directions of all its system installations. Looking for a quality, affordable provider for your project? American Roofing Systems Corporation is built on a foundation of value to customers, vast experience in its services and high quality in its products. Our customers and construction team rely on American Roofing Systems to bring the best roofing SOLUTION to each project. They really take care of the fine details. We aim to eliminate the task of dividing our clients projects between different architects, contractors material suppliers in order to maximize efficiency. American has been a reliable team member helping to affect that goal by offering design and roof management services from initial sketches to the final construction. For us, honesty is the only policy and we strive to complete all projects with integrity, not just with our clients, but also our suppliers and contractors. I am confident in stating that American Roofing has those same values and has been a pleasure to work with on various roof projects.